Stormy skies and Sydney Opera House. Photograph taken on Sydney ferry to Cockatoo Island on a photography course run by SignaturePhoto. 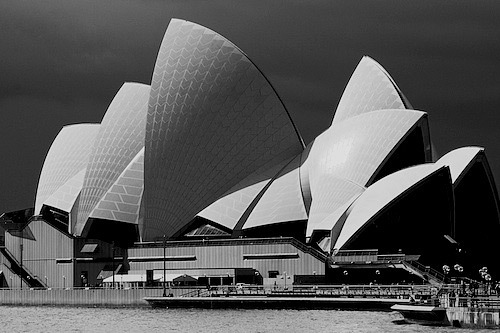 The dramatic lighting before the storm highlights the architectural shapes of the Opera House sails.